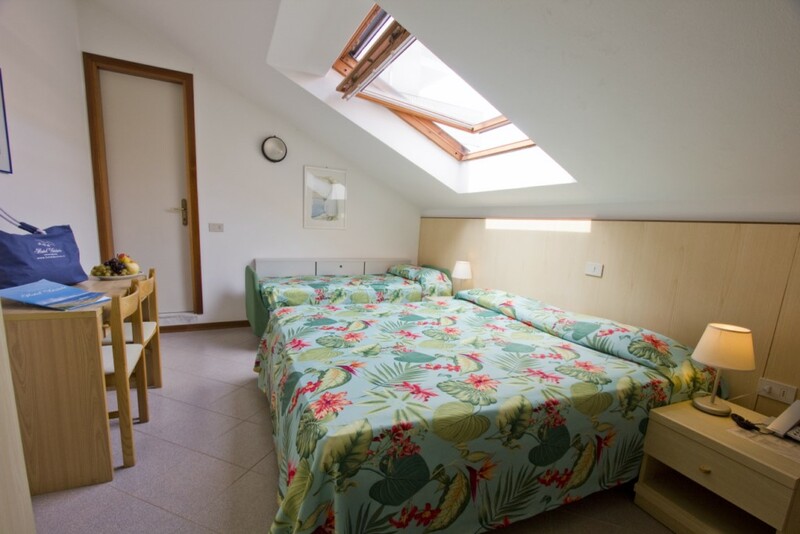 Hotel Désirée is located in an ideal location for families with children: it’s on a quiet street in the centre of Lignano Sabbiadoro, just a stone’s throw from all the amenities and less than 50 metres from the beach. 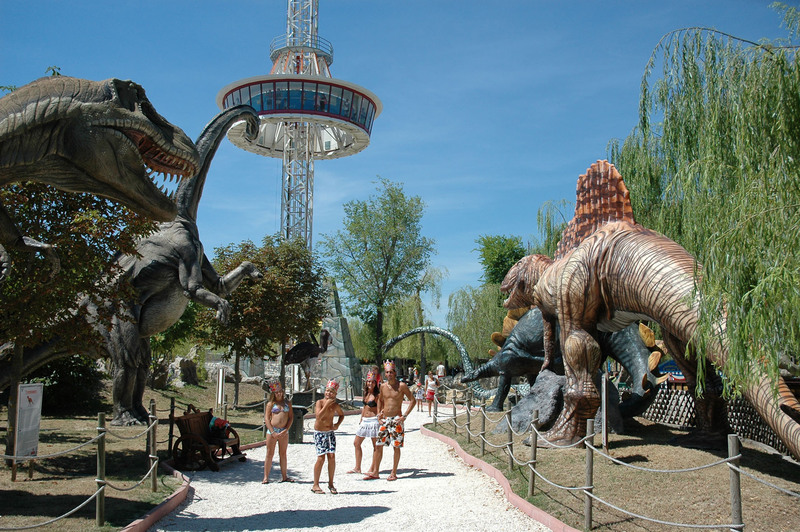 Our proximity to San Giovanni Bosco Park is also quite appreciated: the largest garden any hotel could hope for! 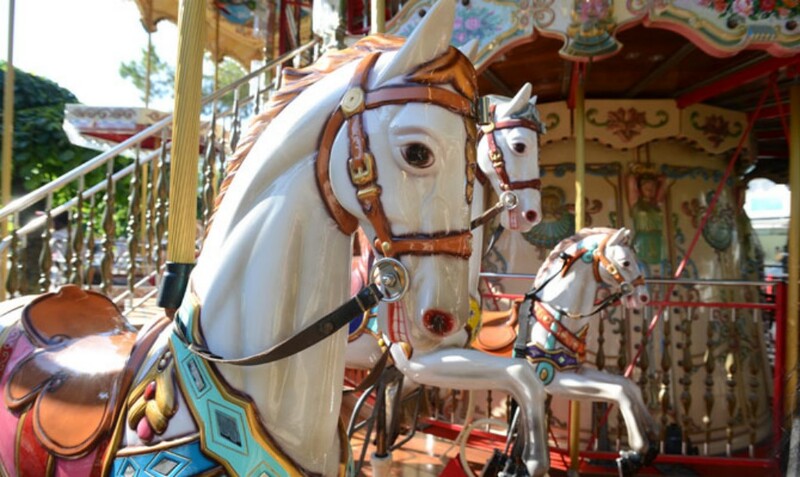 The park offers fun games for children of all ages, such as slides, swings and a carousel with horses, as well as comfortable benches in the shade of mulberry trees. And setting a beautiful backdrop to the park is the Cathedral of Sabbiadoro. 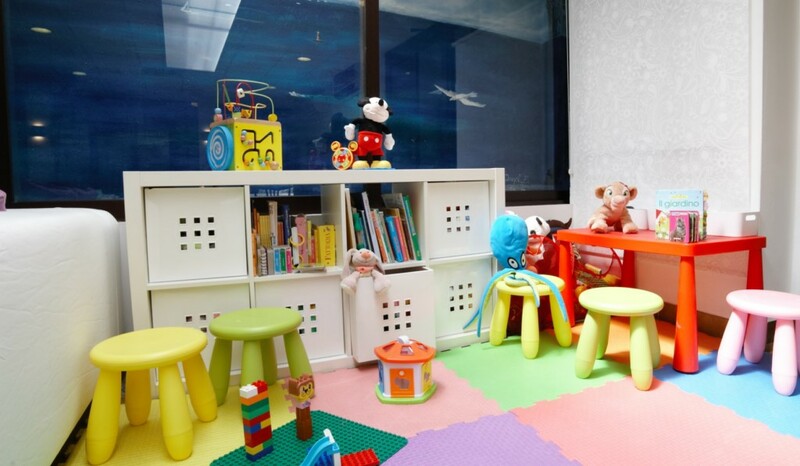 Our dining hall has a play corner where your kids can have fun by colouring, playing with legos or stuffed animals, reading books or watching cartoons on TV. 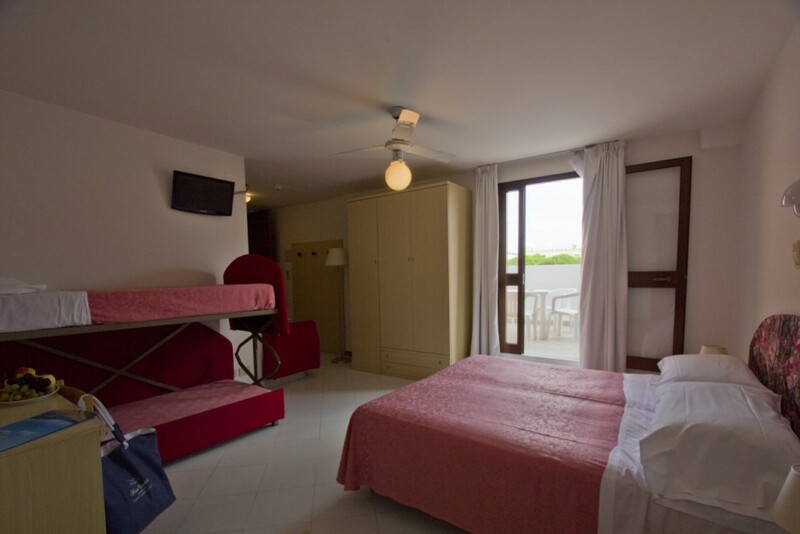 Hotel Désirée offers double rooms where you can add cots or smaller beds, triple rooms, quadruple rooms with bunk beds and a spacious family room with a double bed, bunk bed and single bed. We can also provide guard rails for the beds, and for the smallest guests we also have bath tubs and changing pads. 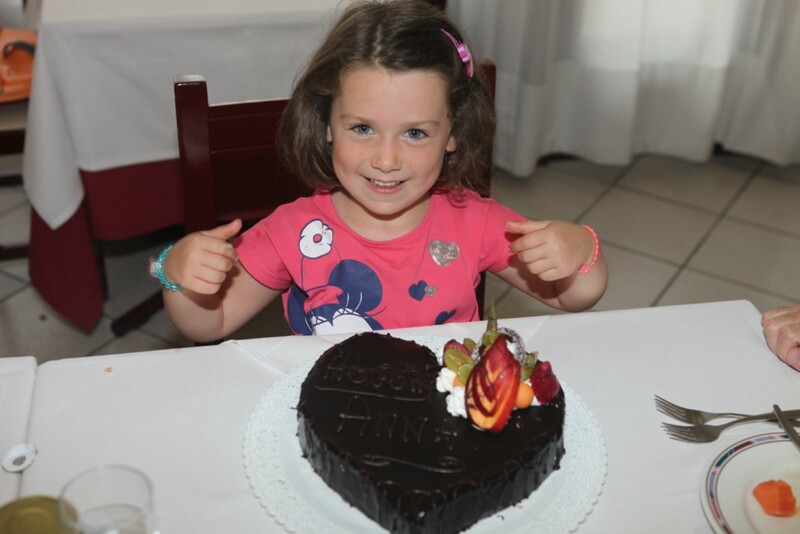 Our cuisine is ideal for children: it is very genuine and each dish is prepared with care, with fresh and safe ingredients. Our ample menu always includes kids’ favourite dishes every day, and our chefs are also available to prepare smaller children’s food, such as vegetable broth and purees with or without salt. You can also feed your children in our quiet dining room half an hour before normal meal times. 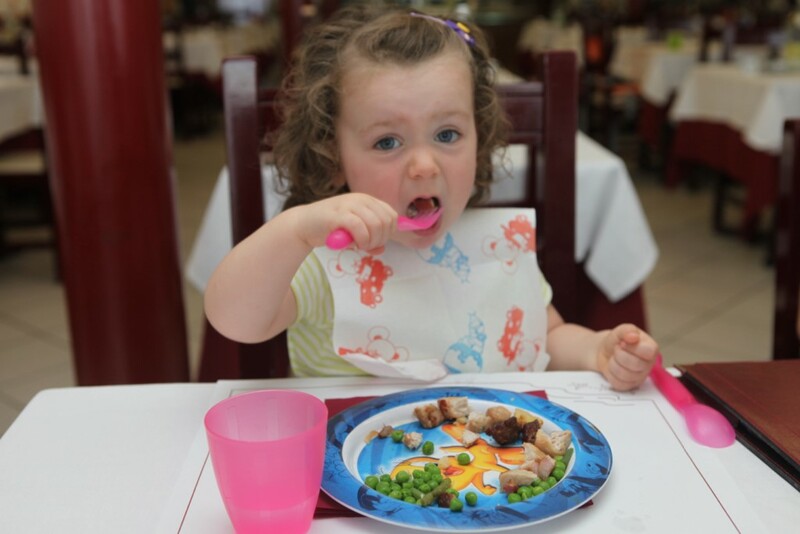 At the table we provide high chairs, booster chairs and coloured utensils and napkins. 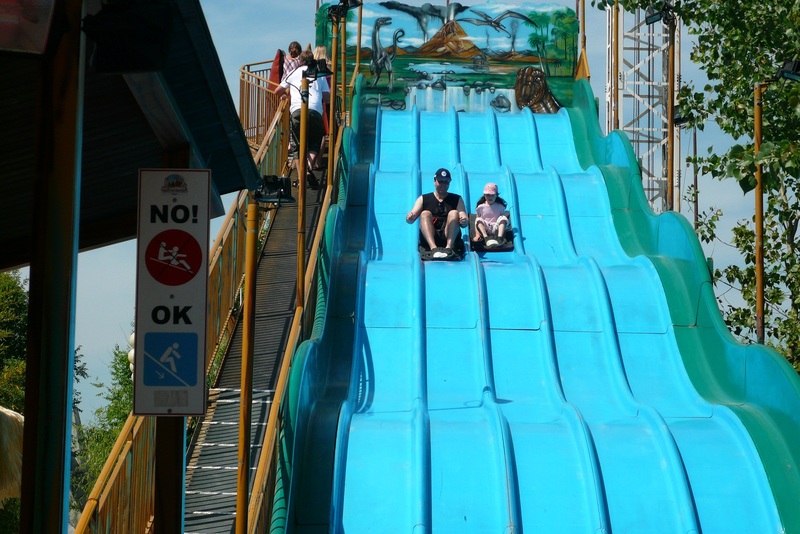 Lignano is full of activities for families! 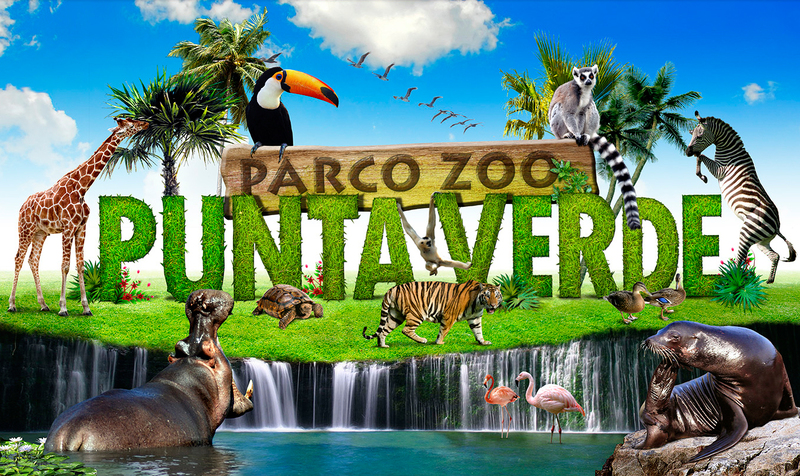 From amusement parks like Aquasplash, Gulliverlandia, Junior Park, Gommosi, Adventure Park, the nighttime Luna Park and the beautiful Zoo Park, there are also green parks such as San Giovanni Bosco Park and Hemingway Park, and many scattered arcades through the city centre. The brand new L-Hub has a skating rink with a lane for street education, five-a-side football fields and a mini ramp for skateboards and rollerblades! 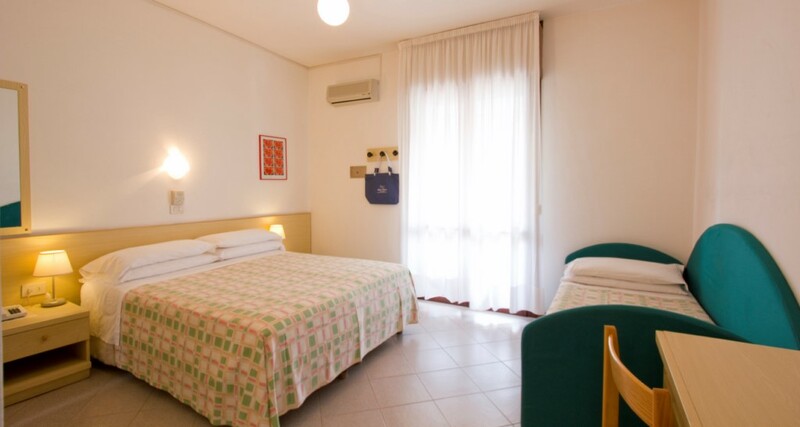 There are various sports activities offered, mini-clubs and the unmissable evening baby dance show on the beach near Terrazza a Mare Restaurant. 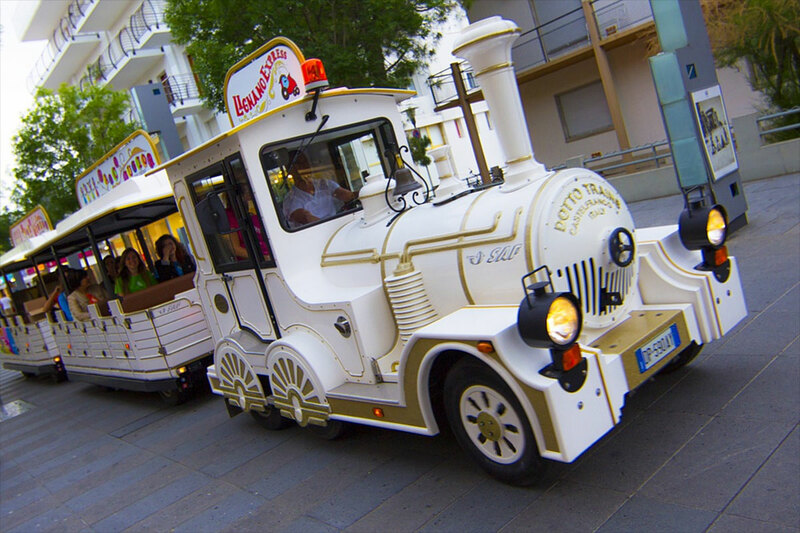 Just a short walk from the hotel you’ll find one of the stops for the train that tours through Sabbiadoro. Free of charge to its guests, the hotel offers bikes – we also have bicycles with an attached child seat and small bikes for children who already know how to ride – to explore the waterfront, the lagoon and the Pineta and Riviera areas, along bike paths that continue to expand year after year. 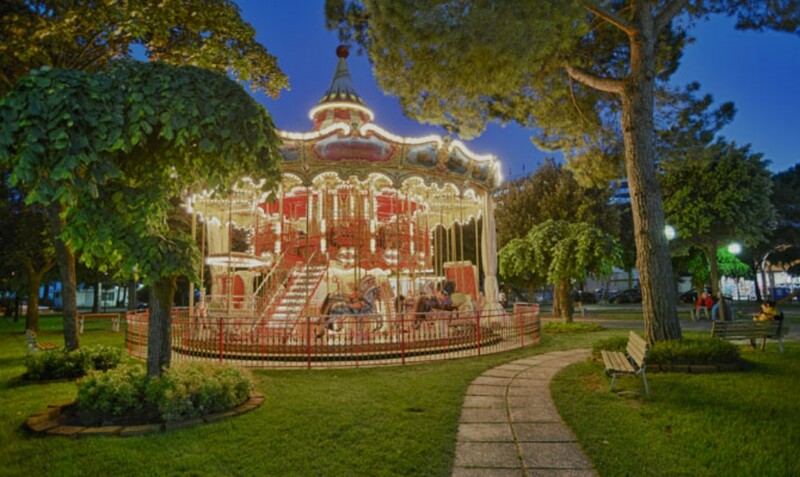 There is not even one traffic light in Lignano: famous for its flowered roundabouts, this city is completely safe for getting around on bicycles!